Mr. O’Rourke has been busy (as usual). 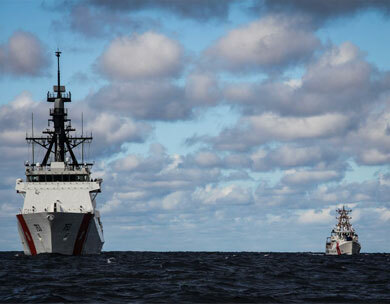 Also on 26 Oct. 2018, the Congressional Research Service also Issued an updated version of his study of Coast Guard Cutter procurement programs, specifically for National Security Cutters (NSC), Offshore Patrol Cutters (OPC), and Fast Response Cutters (FRC). Again I have reproduced the summary here. I do think it is strange that we are still talking about initial testing of the NSCs more than ten years after the first of these was commissioned (see page 14). 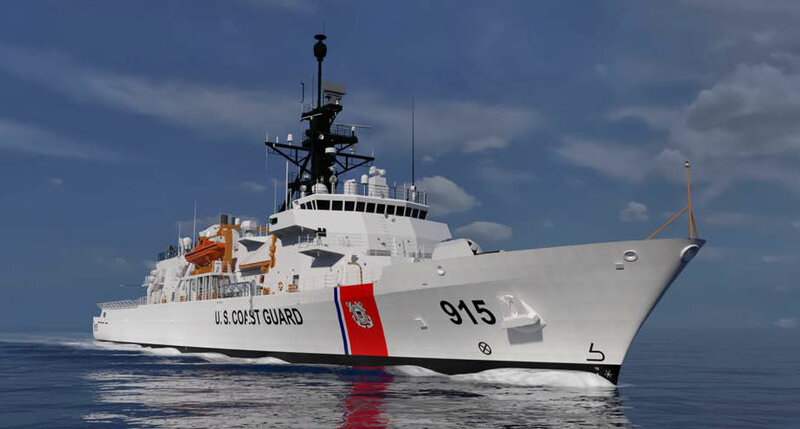 FRCs are considerably smaller and less expensive than OPCs; they are intended to replace the Coast Guard’s 49 aging Island-class patrol boats. FRCs have an estimated average procurement cost of about $58 million per boat. A total of 50 have been funded through FY2018. The 28th was commissioned into service on July 25, 2018. The Coast Guard’s proposed FY2019 budget requests $240 million in acquisition funding for the procurement of four more FRCs. Congress’s decisions on these programs could substantially affect Coast Guard capabilities and funding requirements, and the U.S. shipbuilding industrial base. . The first two of the probably six Webber class WPCs that will replace the 110s in PATFORSWA have been funded. Before they go, there will likely be some changes in how they are equipped. During the delay in Hampton Roads, each of the WPBs received upgrades for overseas service. First, maintenance crews addressed all of the cutters’ mechanical problems. These crews also added two .50 caliber machine gun mounts aft of the pilothouse to supplement the firepower of the forward-mounted MK38 25mm gun. Most of the modifications fell within the area of communications, including new high-frequency transceivers, installation of satellite telephones and a number of improvements designed to reduce electromagnetic interference. Work crews installed new highstrength Kevlar lifelines around the decks and Forward-Looking Infrared Receivers (FLIR) on the cutters’ masts for nighttime operations. Each WPB also received night vision goggles; a translating bullhorn; and chemical, biological and radiological (CBR) gear. Now there is more time to plan and make upgrades. These ships also might serve as prototypes for equipment changes to the rest of the Coast Guard’s Webber class fleet either in response to the terrorist threat or in the future, in anticipation of an armed conflict. In addition, the Navy’s Cyclone class patrol craft are coming to the end of their service life, and suitably modified Webber class might serve as a replacement. Originally eight Island class cutters were deployed in support of Operation Iraqi Freedom, four in the Mediterranean and four in the Persian Gulf. They were to provide force protection. In addition they participated in the capture of an Iraqi vessel attempting to clandestinely mine the Gulf. Later they escorted humanitarian relief supplies up the rivers. They protected Iraq’s off shore oil terminals. Now there are six stationed in Bahrain. In addition to continuing force protection duties, they provide training to Navy ships as they enter the area. They promote capacity building in the navies and coast guards of SW Asia and East Africa. They have conducted counter piracy operations off the Horne of Africa. Most of the duties these ships encounter are similar to those of continental US vessels, but there are some significant threats in the are we might want to consider. 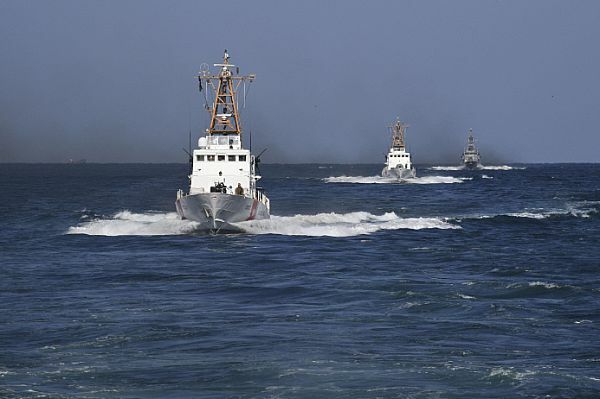 The Navy of the Iranian Islamic Revolutionary Guard Corp has a force of about 1500 fast inshore attack craft ranging from simple rocket equipped speed boats to torpedo and missile boats. If there is a conflict, they are expected to be used in swarming attacks. My take is that the majority of these boats serve primarily as a distraction and screen to facilitate the attacks of the torpedo and missile armed craft, but some may be used as suicide improvised explosive devices. None of these projected threats require large warhead weapons to deal with them, but they do require a short time critical, high probability of kill. The Iranian threat also means there is a need to deal with multiple threats, from multiple directions simultaneously. Attacks could be prolonged, so running out of ammunition could be problem. The easiest change is to convert the four single .50 caliber mounts to twins. This doubles the ammunition on each mount and provides redundancy if a weapon jams. I think I may have seen that this was already done on the 110 in PATFORSWA. We might want to give those .50 cal. machine guns the best possible sights. Twin or single we need to provide ballistic protection for any exposed gun crews, although putting shield around the forward mount positions might hamper forward vision from the bridge. We might want to replace some or all of the crew served .50 caliber machine guns with the more accurate, stabilized Mini-Typhoon Mk49 Mod1 ROSAM remote weapon station which is already on four Coast 87 foot cutters used for Force Protection of Fleet Ballistic Missile Submarines. 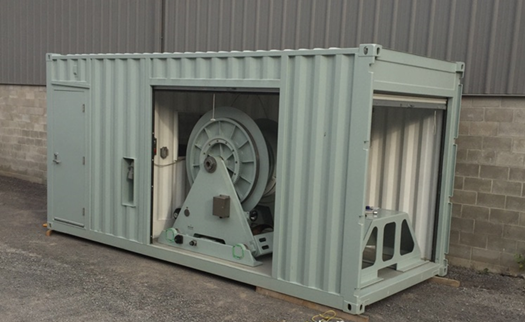 This mount is also expected to be installed on the Offshore Patrol Cutters. Their electro-optic devices could also improve situational awareness, particularly at night. 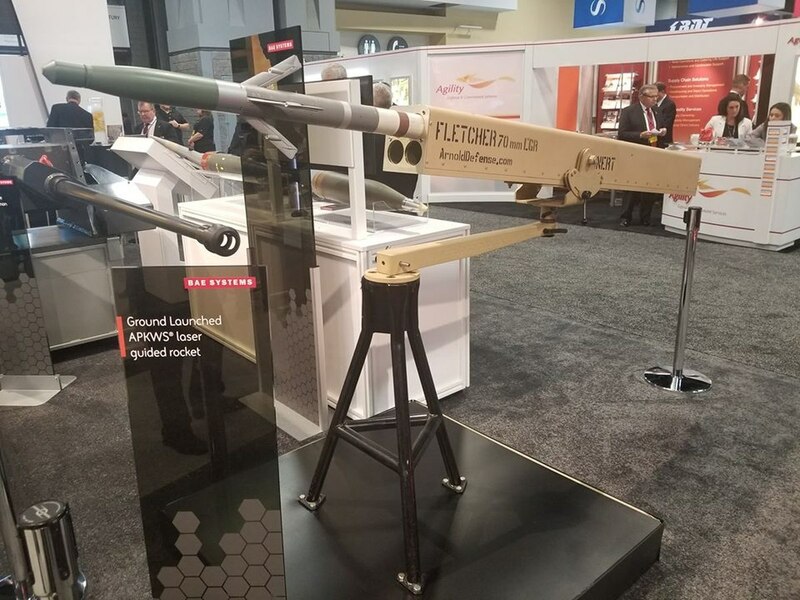 They will need a laser target designator even if there are no laser guided weapons on the cutter, to allow it to designate targets for other US and allied platforms, perhaps provision for one mast mounted and one hand held. 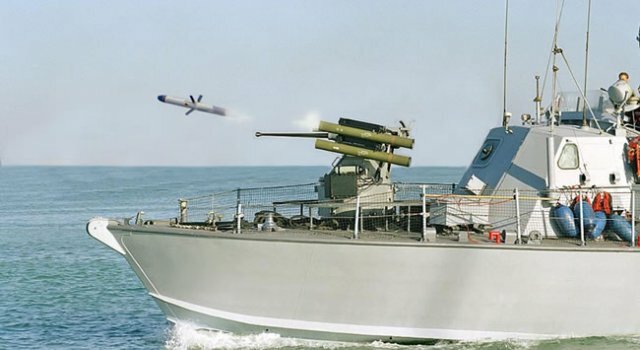 I would like to see the 25mm gun in the Mk38s replaced by the 30mm which is longer ranged, more accurate, and harder hitting, but that is unlikely to be an option. 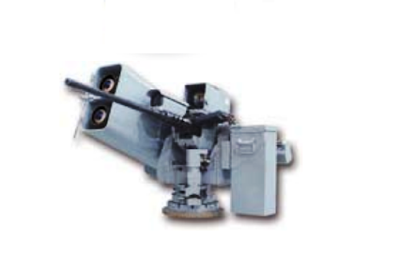 To dispatch threats, quickly and effectively, these vessels really need small guided weapons in addition to guns. 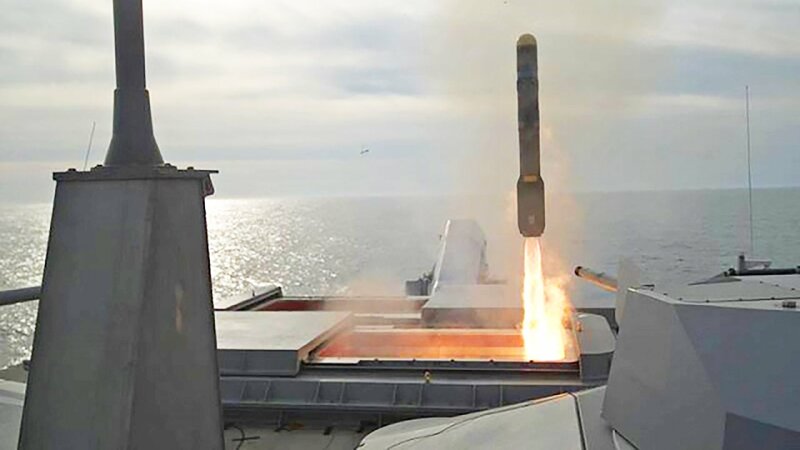 The only small missile installations the Navy has made are Sea Griffin on the Cyclone Class patrol craft and a relatively large 24 round installation on the Littoral Combat Ships. Sea Griffin lost out to the Hellfire Longbow for installation on the LCS. Hellfire and APKWS have been declared among six “preferred munitions” being procured at maximum production rates, literally thousands of rounds per year. With Sea Griffin falling in size between APKWS and Hellfire, this probably means Sea Griffin does not have a great future. As a minimum I think our cutters need a number of APKWS, Hellfire may also be desirable for its longer range, greater hitting power, and fire and forget capability. It would be best if we could use either and trade them off. Unfortunately right now there is no system in the Navy inventory, other than perhaps Sea Griffin, that could readily be installed on our cutters. I would suggest these little ships should be armed with a Mk 49 remote weapon station taking the place of, at least the two crew served .50 cal. mounts on the aft corners of the superstructure, perhaps the two forward as well. In addition, the Mk38 mod3 and the Mk49s should be modified to also support a pair of four tube APKWS launchers, similar to the one pictured below. (Perhaps seven or even 19 round launchers in the case of the Mk38.) Assuming we replace only after Mk49 mounts, and have two four round launchers on each mount, this would provide at least 24 guided rockets ready to launch. 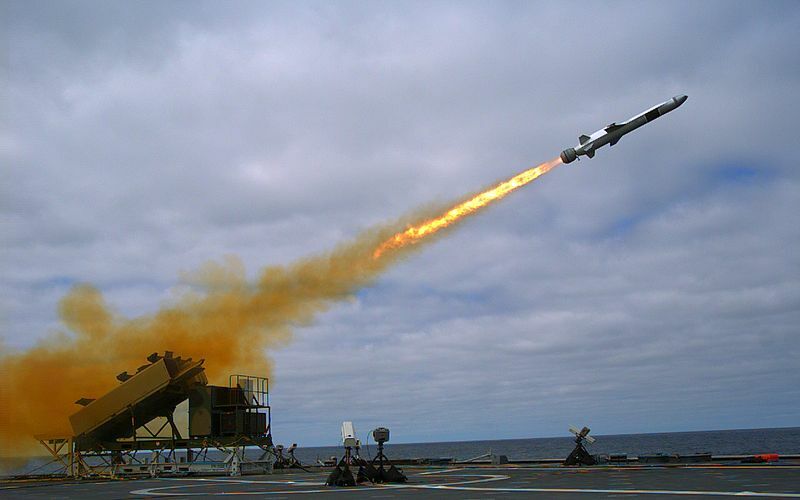 Unfortunately, while the Navy has done a test with the Mk49 and has been talked about adding missiles to the Mk38, they have never followed through. We need to convince the Navy to rapidly push development of this additional capability. They should also have an interest in doing this, since Mk38s are mounted on their destroyers, Cyclone patrol craft, Mk VI patrol boats, and a number of other vessels. BAE should be all in, they make both the MK38 gun mount and the APKWS. Plus these modified Webber class may be the next Navy PC as well. I have seen a mockup of small Hellfire Vertical Launch Systems that might it might be possible to mount on the outer superstructure bulkheads in the form of multiple single launch tubes. There are other launch systems like the one below that fit on vessels much smaller than the Webber class. If we don’t provide guided weapons for these cutters, and the situations deteriorates, adding a fire team or even a squad of Marines to augment the crew with their weapons might be a short term option. In additions to rifles, they might bring with them machine guns, Javelin Anti-Tank Guided Missiles, Carl Gustaf recoilless rifles that the Marines are now pushing down to the squad level (and which may soon get guided projectiles), or even Stinger Man Portable Air Defense Systems (MADPAD). 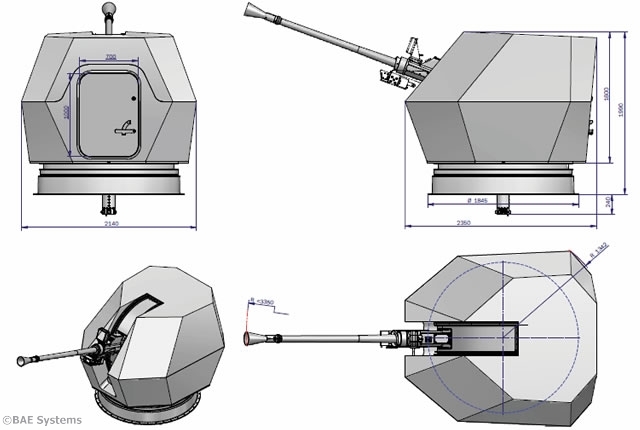 The Cyclone class have light weight EW systems including decoys, some of them have small unmanned air systems, and they have provision for employing Stinger man portable air defense systems. A Link16 capability would be nice, even if read only. “Weapons Effectiveness Testing–25mm vs 30mm,” Aug. 25, 2017 Which seemed to show that the 30mm equipped Mk38 mod2, would be much more effective than the 25 mm version. Note, the hearing does not actually begin until time 20:30 on the video above. 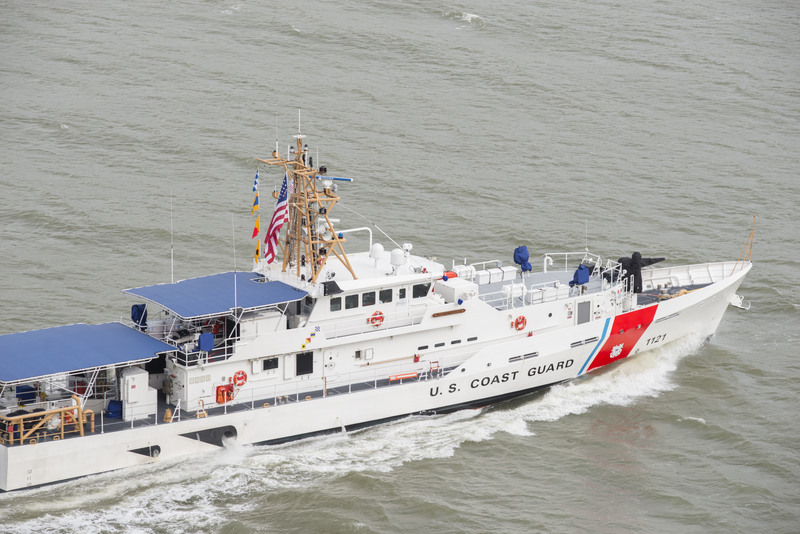 The House Subcommittee on Coast Guard and Maritime Transportation conducted a hearing on “Coast Guard Modernization and Recapitalization: Status and Future” on September 26, 2018. You can see the “Summary of Subject Matter” that was prepared for the Congressmen here. This is the first hearing for both Representative Brian Mast (R-FL) as subcommittee chair and Admiral Karl L. Schultz as Commandant. What I saw looked promising. The Commandant’s prepared remarks has some items of interest. This past March, we released a request for proposal (RFP), setting the stage for award of a Detail Design and Construction (DD&C) contract in FY 2019 for the construction of up to three heavy Polar icebreakers. We are as close as we have ever been to recapitalizing our Polar icebreaking fleet; continued investment now is vital to solidify our standing as an Arctic nation and affirms the Coast Guard’s role in providing assured, year-round access to the Polar regions for decades to come. Apparently we are working toward a fleet of 64 Webber class WPCs rather than the 58 in the Program of Record. The first two additional to replace six Island class WPBs currently assigned to Patrol Force South West Asia have already been funded. Civil Engineering/Shore infrastructure. $1.6B backlog. 42:30 Where is the $34M taken out of the FY2018 budget will be coming from–reprogramming within the Department. 54:00 Diversity within the service. In addition response to the recent Hurricanes seemed to be very much on the minds of Representatives and was referred to repeatedly. The primary thrust of the Acquisitions Directorate post is on what Webber class WPCs are doing in response to recent hurricanes, but it also mentions that a contract option for six more has been exercised bringing the program to 50 cutters. The service exercised a contract option on Aug. 9 worth just over $294.4 million with Bollinger Shipyards of Lockport, Louisiana, for production of six more Sentinel-class FRCs and eight shipsets of rudders as spares. Keeping spares on hand enables greater mission readiness by minimizing operational downtime in the event that some systems need repair or replacement. This option brings the total number of FRCs under contract with Bollinger to 50 and the total value of the contract to nearly $929 million. The contract has a potential value of $1.42 billion if options to procure all 58 cutters are exercised.